There are a few central features to all good Italian. Tomatoes … basil … and PASTA! Okay, so maybe it’s just about the carbs because pizza is also pretty key - but pasta is essential. There are over 350 different types of pasta represented around the world. Here at Li’l Rizzo’s, we LOVE pasta! We may not have 350 different types, but we have our fair share, and every single one is filled with flavor. 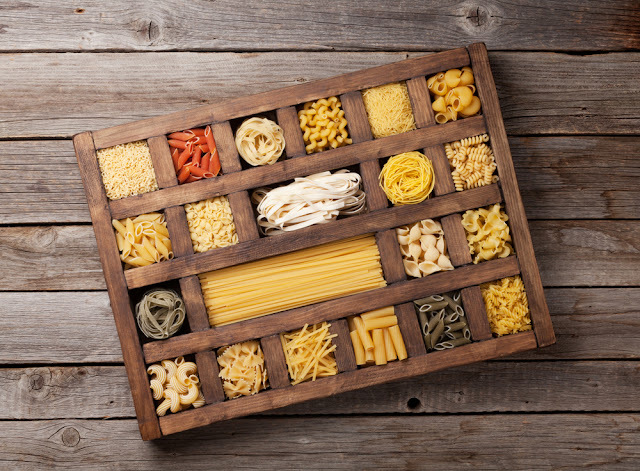 Here are a few things you need to know about pasta varieties, their shapes, and what kinds we have on our menu! PLUS, we have a little quiz at the end to test your pasta knowledge. At Li’l Rizzo’s, we LOVE families! So it only makes sense that we would celebrate Family Day on September 24th. We’ve always been a family establishment, from offering foods that kids will love, to providing plenty of places for families of all ages to gather together around amazing food at the Lake of the Ozarks. We even have two locations so your family can go wherever is closest. Here are a few reasons you should come out to Li’l Rizzo’s this weekend in honor of family day - or join us on Monday to celebrate the actual day! 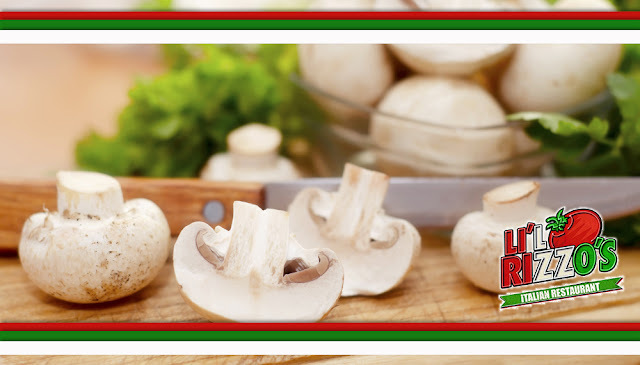 We love mushrooms at Lil’ Rizzo’s and we hope you do too! There are many different types of mushrooms, from small capped mushrooms to morel mushrooms, and even some crazy kinds like the bearded tooth mushroom (trust us, they're weird!). Their flavor is the perfect addition to our famous Italian foods at the Lake of the Ozarks. Here are a few fun facts about mushrooms, as well as a few of our favorite menu items that feature this fun flavor. Fun Facts About MushroomsMushrooms are comprised of 85-95 % water.Mushrooms have their own immune system.Like human skin, mushrooms can produce vitamin D by being exposed to sunlight. In fact, exposing a freshly cut shiitake mushroom, gills up, to the sun for eight hours can increase its vitamin D content by as much as 4,600 times!The antibiotic penicillin was derived from the species Penicillium. Fall, Football, and Fantastic Food! The fall season is here, and while we wait for the cooler temps and changing leaves, we can all rejoice that football is back in session! The kickoff is happening TONIGHT (Thursday, September 6th) at 7:20pm. 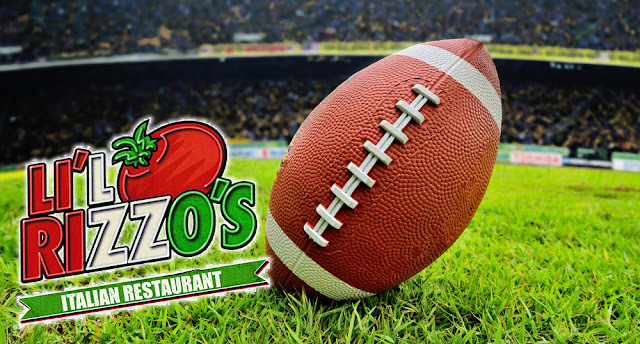 Game starts at 7:20pm CST pm, and Lil’ Rizzo’s is the PERFECT place to watch NFL games. –The reigning Superbowl Champs, the Philadelphia Eagles will be taking on Matt Ryan and the Atlanta Falcons in Philly. We think it’s going to be a great opening game, so come on out to the best restaurant at the Lake of the Ozarks and enjoy some great items on the menu while watching these teams go at it! 2018 Football Kickoff Schedule After tonight’s game, there is a slate of games on Sunday and Monday with some very intriguing matchups. Here’s the full weekend schedule. Don’t forget that starting this Sunday; it’s going to be the ever popular Sunday All Day Happy hour at both locations.